Alpine Guides March 07, 2017 Short description goes in here (editable under 'Location' in blog entries). 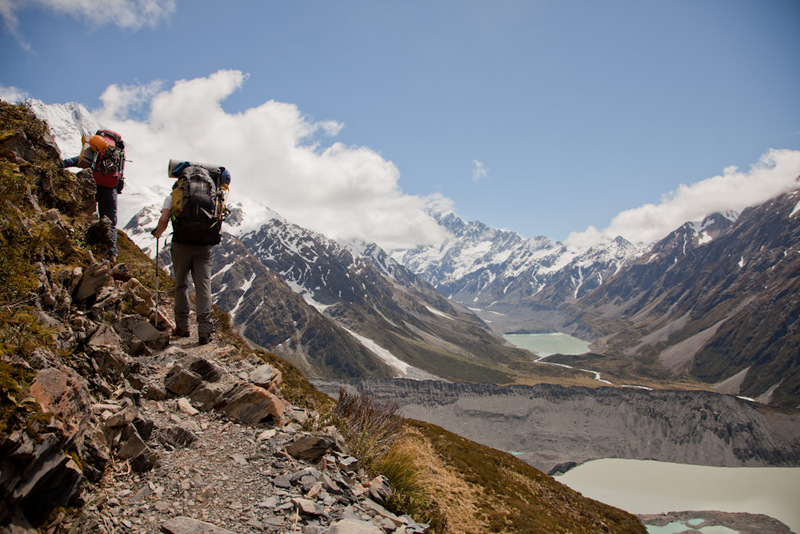 This is an overnight trek, guided by Alpine Guides, staying at Mueller Hut at Aoraki Mount Cook. 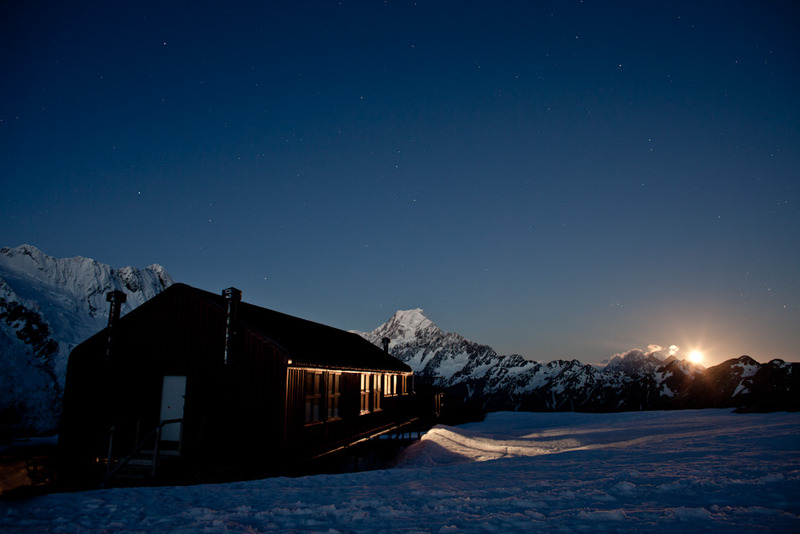 Mueller is one of the more accessible alpine huts in NZ. Above it stands Mount Ollivier (1,933 metres) - known as the first peak Sir Edmund Hillary climbed. This is an unforgettable location, flanked by the glacier-draped peaks of the Main Divide. The 1,000-metre ascent to the hut is an unhurried trip, taking around 6 hours, with plenty of time for breaks and photographs. 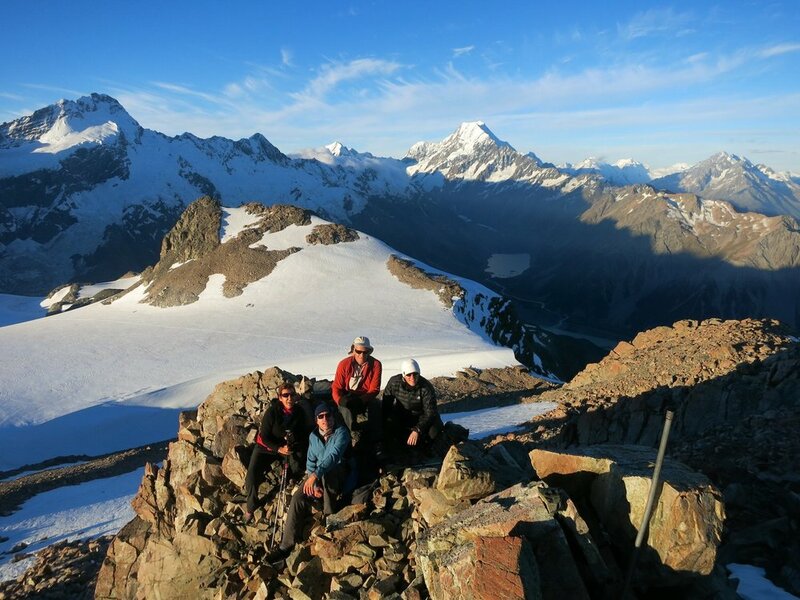 The peak of Mount Ollivier is 40 minutes climb from the hut - a great opportunity for aspiring climbers. Mueller is very popular and busy during summer when the route is straightforward. We guide through Autumn to Spring (April-October), when the hut is quieter and the route requires technical equipment and sound mountain knowlege to make a safe ascent. Able carrying a pack of 10-12 kg for 4 to 6 hours without stopping. Some sections of the route have moderate exposure. Your guide will carry a rope if assistance is required. Crampons and ice axe (and sometimes snowshoes) will be carried. Your guide will give instruction on proper use of equipment. See the equipment list for more details. This is a modern 28 bunk hut maintained by the Department Of Conservation. It has 2 bunk rooms and a kitchen/dining area, solar powered lighting, tanked drinking water, and LPG cooking stoves. The bunks have mattresses, so you only need a sleeping bag to stay cozy. Departures: April - October by arrangement. Please talk to us about your preferred date. 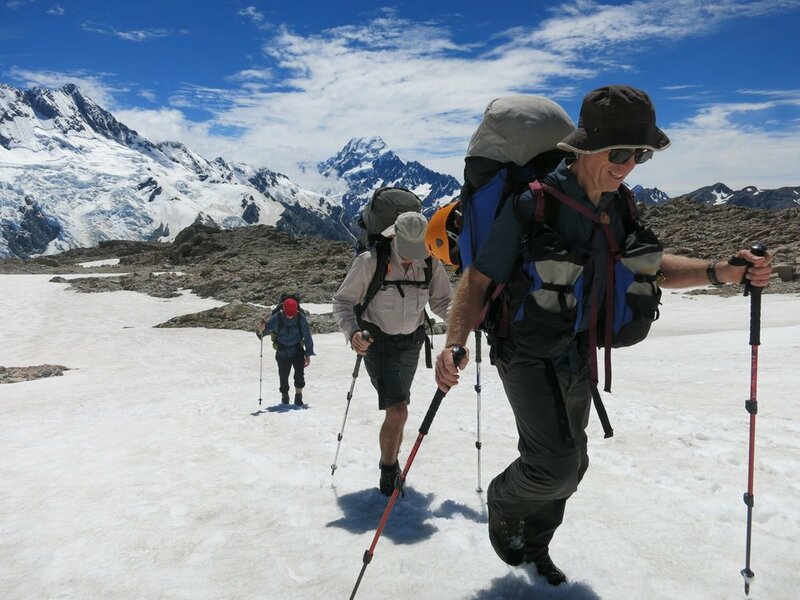 Meet at: 08:30, Alpine Guides base, Mount Cook. Alpine Guides July 28, 2017 Short description goes in here (editable under 'Location' in blog entries).